Essential oils monthly: simply earth. 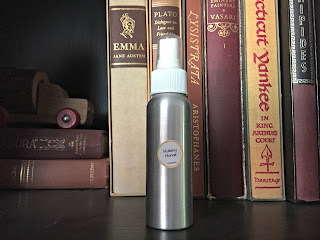 | The House of Martins The House of Martins: Essential oils monthly: simply earth. Essential oils monthly: simply earth. I've been wanting to start using essential oils more in our house - and just haven't gotten around to it. I couldn't figure out where to start and it seemed a little expensive. 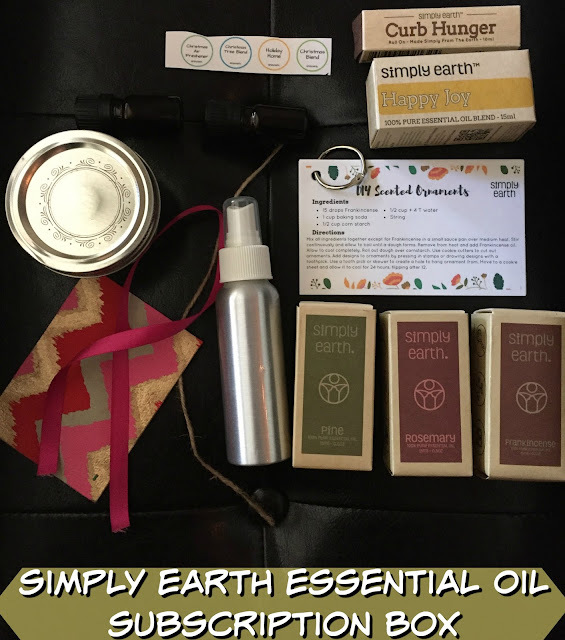 When simply earth contacted me to review their Essential Oils Subscription Box - I thought, this is my chance! And can I tell you, this little box is just amazing. The box that I got (which is November's box) included 6 recipes, Curb Hunger Roll On, Happy Joy blend, Frankincense, Rosemary, and Pine - plus a handful of extra items for the recipes. 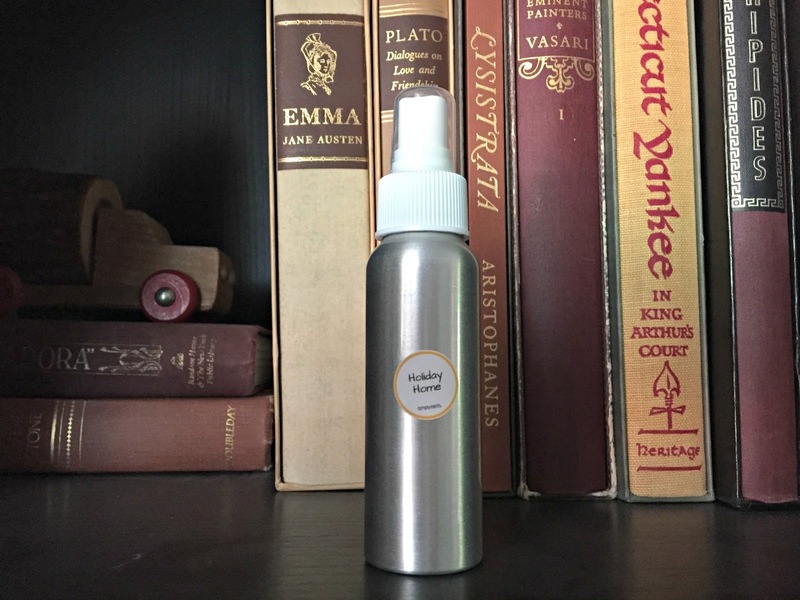 I made the Holiday Home spritz bottle - which I'm ready to start using as soon as Halloween is over! A Christmas Air Freshener was another one of the recipes - which I am going to make to put in my grandmother's room at her convalescent home during the holidays. 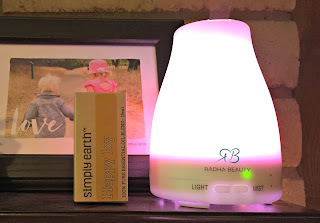 We have already used the Happy Joy blend in our diffuser and love it. Gus calls it his happy juice when I dab it on him. I am so excited to see what comes in the next box - and to continue this adventure of trying essential oils. Oh, and did I mention 13% of their profits go to help end human trafficking. Think you want to give their service a try? Use my code: HONEYFREEDIF to get a free diffuser when you subscribe. You can subscribe for a box every month, every three months or just this month. You can pause or cancel anytime. Be sure to follow them on Instagram, Facebook and Pinterest too for more ways to use your oils. Thanks again to simply earth for letting me try the service out and share it with my readers!